Our second weekend here, we took a van out to the CMI president's house and played at the beach right next to his house. 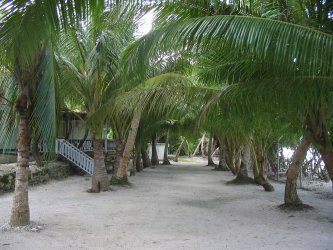 This is the walkway from the house to the beach. On either side of the house are research areas for CMI, including agricultural and aquatic research stations.